Let’s show a little respect for turtles that have lived for hundreds of millions of years … hundreds of times longer than we humans. That’s the advice of Carlo Rovelli, an acclaimed physicist whose book “Seven Brief Lessons on Physics” is addressed to readers who know little or nothing about physics but who have an advantage over turtles in that they are aware of their existence and can do something about it. The more science advances, the smaller we seem to be – our sun a mere speck in a galaxy of one hundred billion stars, and the galaxy itself a speck in a huge cloud of other galaxies. The Hubble telescope reveals a panorama of vastly distant dots, each of them a galaxy containing a hundred billion suns. That means there are billions of billions of billions of planets like ours in the universe. We are not alone, though lonely. These theories of in and out collide, writes Rovelli. “In the morning the world is curved space where everything is continuous; in the afternoon it is a flat place where quanta of energy leap.” But don’t despair, he cautions. Science has dealt with contradictions like this before. Inevitably, they lead to a new synthesis that advances our understanding of the world. Then there’s us. “If the world is a great jigsaw puzzle of space and elementary particles, then what are we?” asks Rovelli. How, as individuals, do we exist? Since we are part of nature, does that determine our existence? “We are made up of the same atoms and the same light signals as are exchanged between pine trees in the mountains and stars in the galaxies.” With a hundred million neurons in our brains, the ideas we have of ourselves are sketchy indeed. It’s an “inextricable complexity,” writes Rovelli. But wait. Joseph Tainter’s book, “The Collapse of Complex Societies,” claims that too much complexity – knowledge beyond coping, responsibilities beyond resources – eventually dooms a society, even one as substantial as ancient Rome and maybe even ours. Welcome complexity, says the physicist. Beware complexity, warns the historian. No free lunch anywhere. Physicist Rovelli concludes that humans do not have the stuff to last very long. “We belong to a short-lived genus of species.” Besides, we are hastening our demise with our mistreatment of the environment, and it could be added with that marvel of science, nuclear weapons. 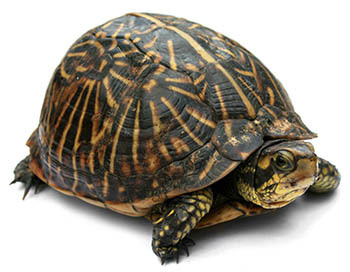 So in passing, let’s salute the humble turtles, masters of longevity, who will be here when we’re not.